I’m going to make this as short and sweet as possible, because honestly if this weren’t the last Bachelor episode I don’t know what I’d do. This show is draining! 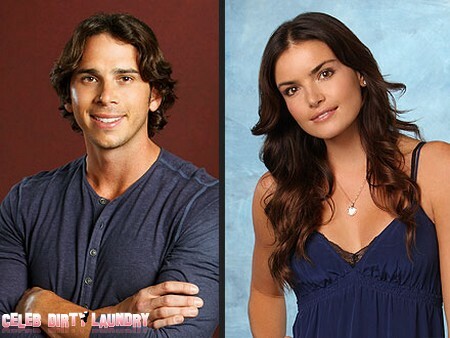 By now the world knows that Bachelor Ben Flajnik chose Courtney Robertson over Lindzi (shockingly). Poor, poor Lindzi. I hate to bring up the obvious, but at least the stress of the show was apparent on both the girls’ chins…. So first things first, Ben’s sister looks exactly like him. She needs to part her hair in the middle and not brush it for a few days then they can be doppelgangers. Kind of creepy… So both girls had great experiences with his family – but come on, we knew all along that Courtney would win (ahem, butter up) Ben’s mother and sister. My question is, did she really fool Ben that much throughout the show or was there some slight chance of coolness or compassion to Courtney? I mean, she did come off as cute and fun when she was with him – aside from that horrendous stupid baby voice, I can see how he fell for her. Don’t get me wrong, he’s still kind of an idiot but nonetheless the guy fell hard. So the show ends with Ben saying sayonara to Lindzi and proposing to Courtney (did anyone else have a problem with her gloves and cape?). All seems wonderful – until “After The Final Rose” and the two seemed completely at a loss. I wonder why. It seemed utterly awkward and uncomfortable between them. And the part with Courtney trying on wedding dresses to divert negative attention away from Ben because he was ‘maybe’ caught cheating? Dumb. She says he abandoned her – he says he was hurt watching the whole thing unfold on television. What the heck did she expect? She was a horrible, horrible human being. Did he promise to always love her? Yes, but come on, she was craaaaazzzyyy! So in the end, Chris Harrison aka Mr. I Ask The Hardest Questions Ever brought out the engagement ring (and what a ring it was) and asked the couple if they were willing to work it out and still be engaged. In my opinion, if one has to ask this question… the answer should be obvious. I can barely tell you what happened next because l almost fell asleep it was so boring and drawn out. No matter what Ben or Courtney said to one another (and for the record, they agreed they still loved each other and wanted to work it out), we are all thinking the same thing. There donesville. No amount of real (or fake tears) can change the fact that this is TV, it’s all a fairytale, and that Courtney is a big, fat faker. Too harsh? I call it like it is. She wanted to ‘win’, and so she did. This is the price she paid for it. Also, Ashley and JP are really, really annoying. Kill me if I get sucked into this show again…maybe.